Are you start your favorite browser and do not see usual homepage, which is set earlier? Or, the reklamka4.ru site is the first thing that pop up once you start your browser? It means that your computer has become the victim of malware from the group of adware. If you get it on your PC, this malware can change the web-browser’s settings such as homepage, new tab page and search engine by default and install malicious extension that will open lots of annoying advertisements within the Google Chrome, Mozilla Firefox, Internet Explorer and Edge screen. It is important, do not click on these advertising links, as they can lead you to more malicious or misleading sites. The best option is to use the instructions posted below to clean your system and thereby get rid of the reklamka4.ru redirect. The adware can change the settings of the Internet Explorer, Chrome, Firefox and Microsoft Edge, but often that a malicious software such as this can also infect all types of browsers by changing their desktop shortcuts. Thus forcing the user each time launch the internet browser to see reklamka4.ru annoying ads. The ad supported software is the part of the software that is used as an online promotional tool. It is created with the sole purpose to open dozens of ads, banners and pop-ups, and thus to promote the goods and services in an open web-browser window. So, the reklamka4.ru is just one of the many pages of the so-called ‘ad-support’ type. It’s designed to fill the web-browser’s constant stream of advertising links, or redirect the internet browser to not expected and intrusive advertising web-sites. Moreover, the adware can substitute the legitimate advertising links on misleading or even banners that can offer to visit dangerous sites. The reason is simple, many advertisers agree on any ways to attract users to their web pages, so the creators of ad supported software, often forcing users to click on an advertising link. For each click on a link, the authors of the ad supported software receive income. It is the so-called ‘Pay-Per-Click’ method. 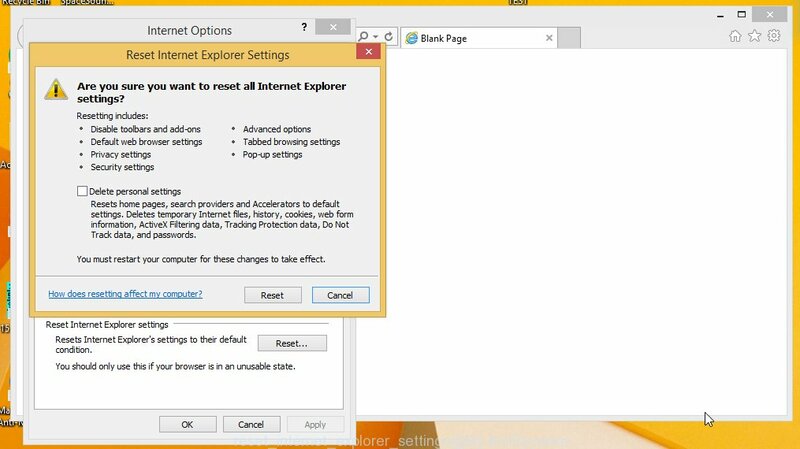 Instructions, which is shown below, will allow you to clean your computer from the adware infection and remove reklamka4.ru unwanted advertising from the Google Chrome, Mozilla Firefox, Internet Explorer and Edge and other browsers. 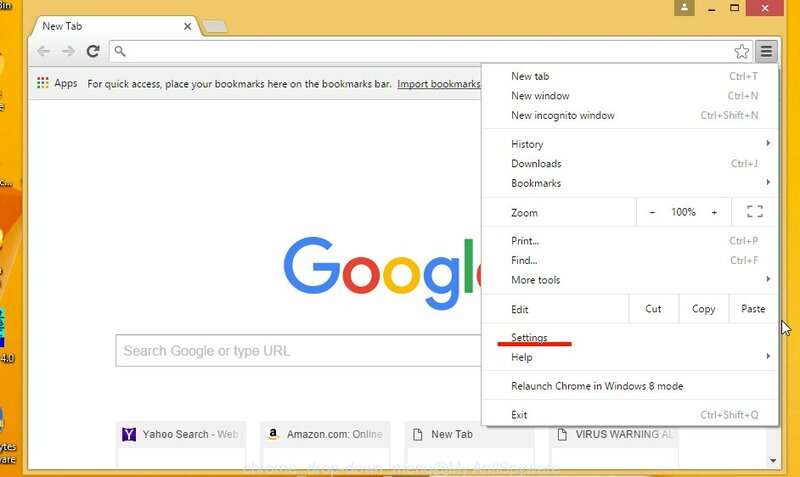 The following instructions is a step-by-step guide, which will help you manually remove reklamka4.ru from the Internet Explorer, Chrome, Firefox and Microsoft Edge. The best way to begin the personal computer cleanup is to remove unknown and suspicious software. Using the Windows Control Panel you can do this quickly and easily. This step, in spite of its simplicity, should not be ignored, for one simple reason, many free programs at its installation additionally set various unneeded software that most often generate unwanted advertisements and redirect your browser to reklamka4.ru web-site. So, delete the unneeded applications may cleanup your browser from popups, hijackers and so on. Click the right mouse button to a desktop shortcut which you use to start your browser. Next, select the “Properties” option. Important: necessary to click on the desktop shortcut for the browser which is redirected to the reklamka4.ru or other unwanted web-page. Further, necessary to look at the text which is written in the “Target” field. 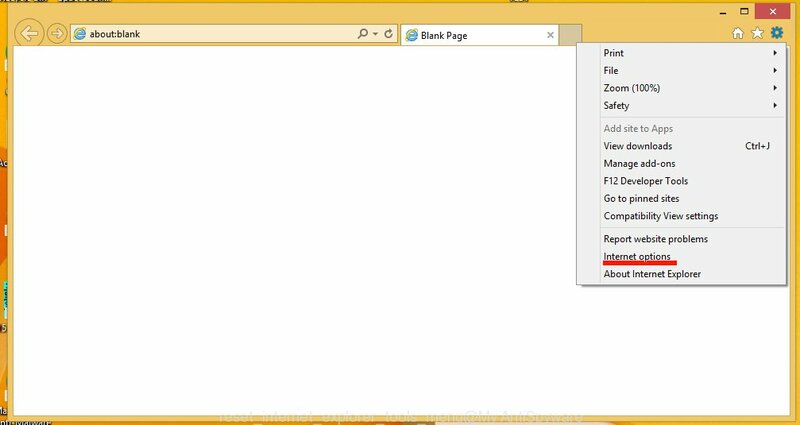 The adware can replace the contents of this field, which describes the file to be run when you launch your web-browser. Depending on the internet browser you are using, there should be: Google Chrome: chrome.exe, Opera: opera.exe, Firefox: firefox.exe, Internet Explorer: iexplore.exe. If you are seeing an unknown text like “http://site.address” that has been added here, then you should remove it, as shown on the screen below. Click the “OK” button to save the changes. Now, when you launch the web-browser from this desktop shortcut, it does not occur automatically redirect on the reklamka4.ru web site or any other annoying sites that is advertised by the adware. Once the step is finished, we recommend to go to the next step. Like other modern browsers, the Chrome has the ability to reset the settings to their default values and thus remove the redirect to reklamka4.ru unwanted ads which is caused by the adware. Start the Chrome. Click on the button in the form of three horizontal stripes ( ). It will appear the main menu. Click on the option named “Settings”. Another way to open the Chrome’s settings – type chrome://settings in the web-browser adress bar and press Enter. 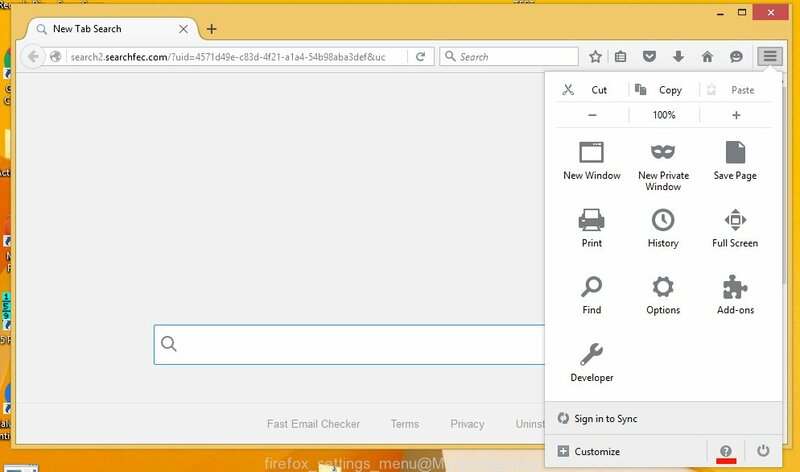 The browser will show the settings screen. Scroll down to the bottom of the page and click on the “Show advanced settings” link. Now scroll down until the “Reset settings” section is visible, as shown below and click on the “Reset settings” button. The Chrome will display the confirmation dialog box. You need to confirm your action. Press on the “Reset” button. The program will start the process of cleaning and when it is finished, the internet browser settings including the ‘block pop-ups’ option back to the values that have been when the Chrome was first installed on your PC system. 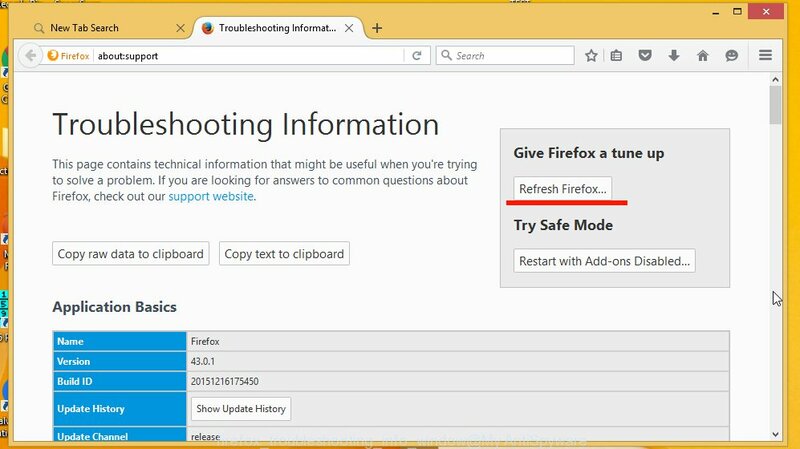 If the Firefox settings have been changed by the adware, then resetting it to the default state can help you to remove the redirect onto reklamka4.ru ads. Run Internet Explorer, press . Click “Internet Options” as shown below. In the “Internet Options” screen select the Advanced tab. Next press Reset button. 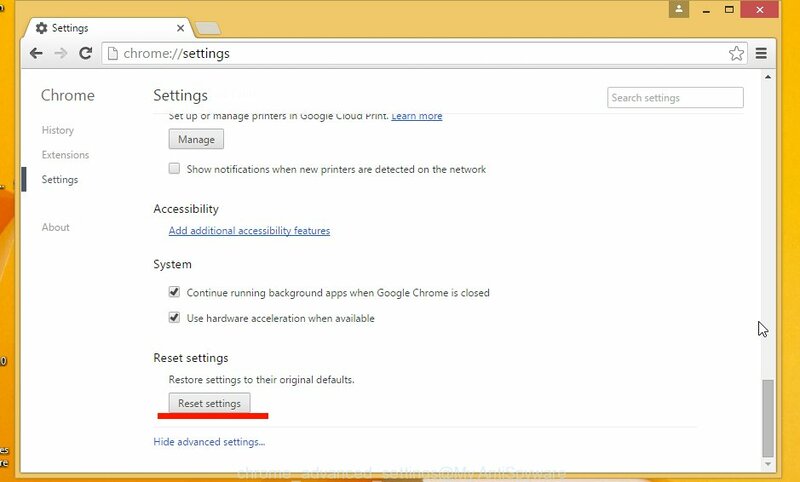 The Internet Explorer will open the Reset Internet Explorer settings prompt. Select the “Delete personal settings” check box and press Reset button. You will now need to restart your computer for the changes to take effect. It will restore the IE’s settings to default state, disable ad-supported browser’s extensions and remove the redirect to the reklamka4.ru annoying site. Manual removal is not always as effective as you might think. Often, even the most experienced users can not completely remove ads from the infected computer. This is because the adware can hide its components which are difficult for you to find out and get rid of completely. This may lead to the fact that after some time, the ad supported software again infect your PC and it will begin to open annoying reklamka4.ru advertisements. 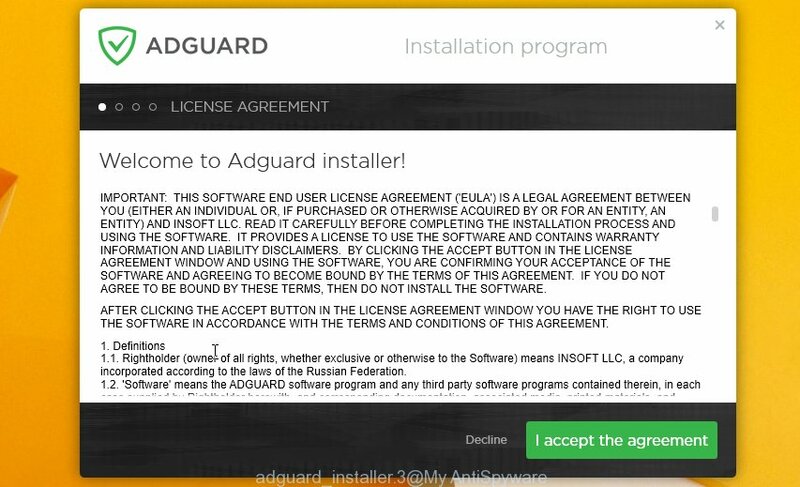 Moreover, I want to note that it is not always safe to get rid of the ad supported software manually, if you do not have much experience in setting up and configuring the computer. 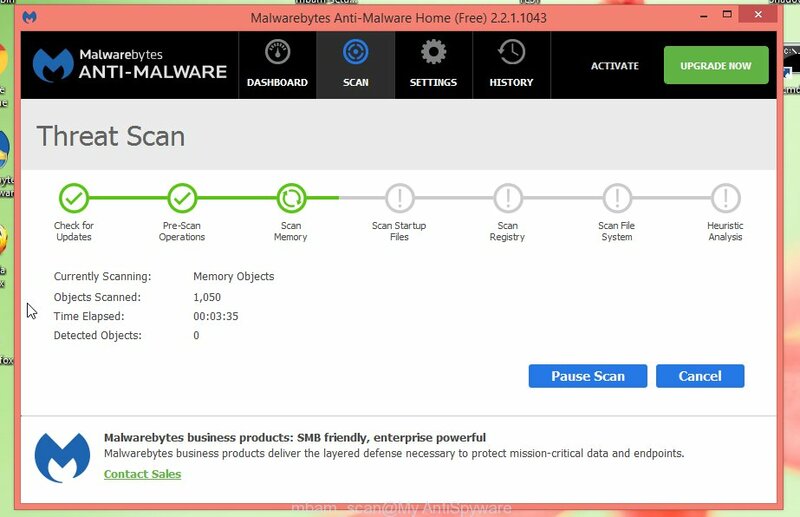 I suggest using the MalwareBytes Anti-malware Free that are completely clean your computer. The Anti-malware is an advanced malware removal program developed by MalwareBytes. This program uses the world’s most popular anti-malware technology. It is able to help you remove browser hijackers, malware, ad supported software, toolbars, ransomware and other security threats from your PC for free. Once the downloading process is finished, close all applications and windows on your system. Next, open the setup file named mbam-setup. When a “Security warning” prompt pops up as shown in the figure below, click the Run button. 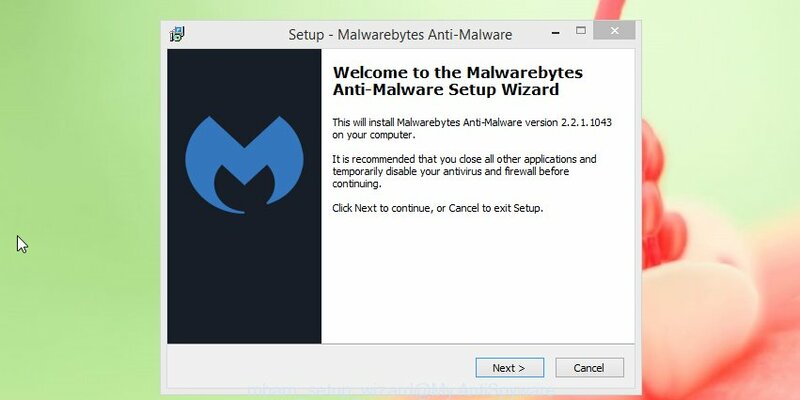 It will open the “Setup wizard” dialog box that will help you install MalwareBytes Anti-malware on your personal computer. Follow the prompts and don’t make any changes to default settings. Now click the “Scan Now” button to begin scanning your PC for the adware that cause a redirect to reklamka4.ru. When a malware is found, the number of the detected objects will change accordingly. Wait until the the scanning is finished. Please be patient. As the scanning ends, you can check all threats detected on your computer. Make sure all entries have “checkmark” and click “Remove Selected” button. 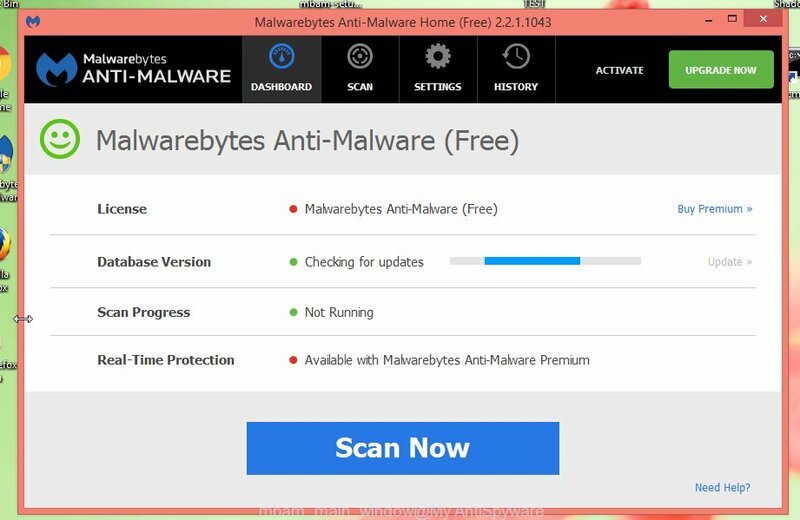 The MalwareBytes Anti-malware will start removing reklamka4.ru pop-up ads and other security threats. Once disinfection is finished, you may be prompted to Restart. To increase your security and protect your PC system against new annoying advertising links and malicious pages, you need to use application that blocks access to malicious advertising links and sites. Moreover, the software can block the open of intrusive advertising, which also leads to faster loading of pages and reduce the consumption of web traffic. In most cases, the default settings are enough and you do not need to change anything. 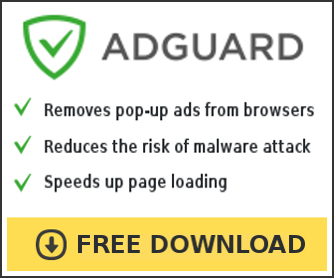 Each time, when you start your PC, AdGuard will run automatically and block pop-up ads, web-sites such reklamka4.ru, as well as other dangerous or misleading web pages. 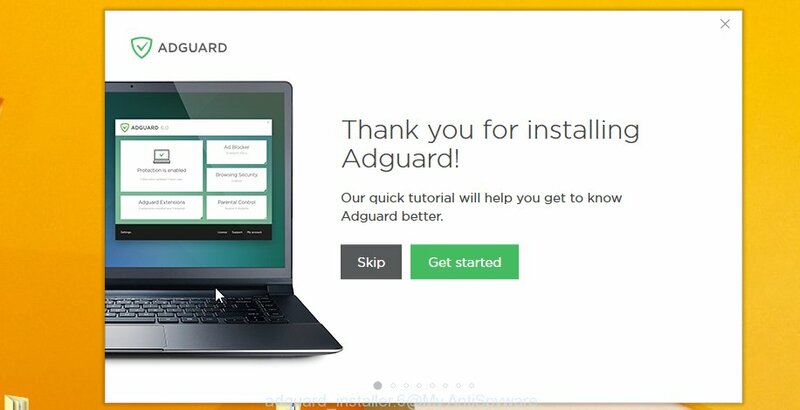 For an overview of all the features of the program, or to change its settings you can simply double-click on the AdGuard icon, which is located on your Windows desktop. If MalwareBytes Anti-malware cannot remove the reklamka4.ru , then we suggests to use the AdwCleaner. AdwCleaner is a free removal tool for adware, browser hijackers, PUPs, toolbars. Also you can ask for help our Myantispyware team below. Double click the AdwCleaner icon. Once this tool is started, press “Scan” button to perform a system scan for the ad supported software that generates the reklamka4.ru advertising. If you are seeking a help for reklamka4.ru redirect removal then follow these steps. Wait for one of our trained “Security Team” or Site Administrator to provide you with knowledgeable assistance tailored to your problem with the redirect to the annoying reklamka4.ru redirect.